PRIDE study will help doctors learn about LGBTQ health. We Don’t Know Nearly Enough About LGBTQ Health. A Massive New Study May Change That. 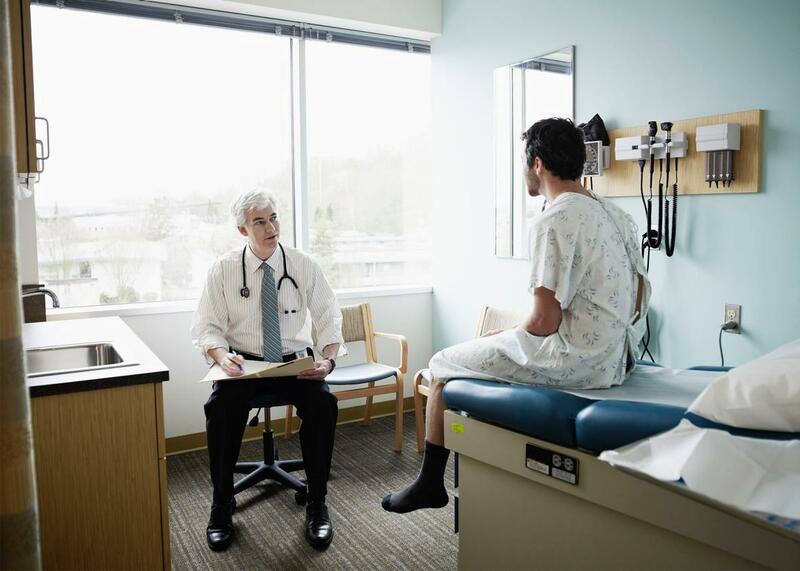 Many doctors struggle to address the unique health needs of LGBTQ patients. Any sufficiently large and well-defined community is likely to have health concerns that disproportionately affect it, and LGBTQ people are no exception. Some problems have had an unmistakable impact on the gender and sexual-minority population, HIV/AIDS being an especially obvious example. But we still lack a comprehensive understanding of the ways that being an LGBTQ person can influence one’s overall health, or of health disparities within the LGTBQ community itself. Researchers at the University of California–San Francisco are hoping to close that gap. Earlier this year, the PRIDE study opened for enrollment. The first of its kind, it aims to follow the same large group of LGTBQ people over the span of the next few decades, similar to other well-known, multi-generational cohort studies. Open to anyone who resides within the United States, identifies as a gender or sexual minority, and is over 18 (though the age limit may be dropped to 13 in the future), its enrollment has surpassed 6,000 since launching in May. The study’s authors hope for 100,000 people to enroll over the next 10 years. By studying LGBTQ people specifically, researchers can uncover health issues specific to sexual and gender minorities that haven’t been previously detected because nobody has bothered to look. Further, by conducting a large-scale study that seeks to recruit as diverse a population as possible, problems that may disproportionately affect part of the community in a certain region, or may predominantly occur in other subpopulations, may become more apparent. Health concerns faced by gay black men in Dallas may be quite different from those of gay white men in San Francisco, for example, and a study solely focused on one may miss something important happening with the other. The wide range of questions asked by the survey could help health providers detect and lessen problems or risk factors they may have overlooked previously. To pick one area of inquiry that stood out to me when I completed the survey, it may be that growing up in a religious community that rejected gay and sexual-minority people is a significant risk factor for depression or anxiety in LGBTQ people—but joining an affirming religious community mitigates this risk later in life. By collecting very granular data points like those, the authors can provide physicians and counselors with a better idea about areas of their patients’ lives that might never have occurred to them before. A pilot phase of the study was launched in 2015 and eventually reached 18,000 enrollees. This early phase was limited to iPhone users and utilized special Apple research programming. The program not only allowed researchers to see how respondents were answering study questionnaires: It allowed participants to propose and prioritize questions they wanted the researchers to answer. “We were trying to turn academia on its head and say ‘we want to study what’s important to you; help guide us and tell us what is important to you. We’ll see and try to meet that need,’ ” Obedin-Maliver said. People interested in enrolling in the PRIDE study (which is subsidized by a combination of private donations, support from UCSF, and funding from the Patient-Centered Outcomes Research Institute) can do so using any device that connects to the internet. Participants complete a profile with personal, demographic, and contact information, and answer a comprehensive initial questionnaire about a wide range of topics, which will then be repeated annually. Depending on a respondents’ answers and the device they are using to complete the survey, the estimated time to answer all questions is between 30–60 minutes. Versions of the survey in Spanish and other languages are also in active development. “We talk about things like physical activity, sleep, whether people have donated blood,” Obedin-Maliver said. “If they were born with a uterus, have they ever had children? All kinds of topics covering physical health, mental health, and social health.” She took pains to make clear that all information collected as part of the study was not only highly secure but had an additional certificate of confidentiality from the National Institutes of Health preventing any access, including subpoena or other governmental request, except for the purposes of research. Many potential study topics could be investigated by using the material collected as part of the annual questionnaire itself. A researcher who wished to know if trans black women living in the South suffered disproportionately from anxiety, for example, could use the data in the PRIDE study to answer the question. However, researchers eager to study health issues beyond the initial survey could collaborate with the investigators at UCSF to design additional surveys going forward. Obedin-Maliver gave the example of dermatologists curious to learn how tanning behaviors within the LGBTQ population (you know who you are, boys) could affect cancer risk. Targeted surveys about issues related to aging could be sent to participants over 50, and so on. Though the PRIDE study itself is being conducted by researchers at USCF, they are part of an extensive nationwide network of organizations working to recruit a diverse study population. The list includes health clinics located in major coastal cities, but goes far beyond Boston, New York, and Los Angeles. Geographically, the network spans from Texas to Alaska to Vermont. Member organizations include the first LGBT clinic in Cleveland dedicated to serving the LGBT community; a national (and international) professional association promoting evidence-based care, research, advocacy in transgender health; and an Atlanta-based advocacy group for aging black lesbians. “We have [a] participant advisory committee, and a process whereby [that] committee also reviews applications for collaboration to make sure that it’s a topic that’s meaningful to the community, that the researcher is approaching the community in the right way, and that we have a plan for every study we do of how we’re going to bring [results] back and disseminate them to the community,” Obedin-Maliver said. As both a physician and a gay man myself, I’m excited to see what the PRIDE study finds about our community. Obedin-Maliver and her colleagues are dedicated to making its findings useful not merely to academics and health care providers but to LGBTQ people as well.